If you really want to learn faux painting the easiest way is to go to any paint store and look for brochures that show basic faux finishes and how to do them. 1. Color Washing – this one is my favorite. Totally awesome. You have to see it to appreciate it. As a professional painter, color washing is the technique I like the best and wouldn’t mind doing some time in the future. 2. Sponging – it shows using a light base coat and sponging on or off using the glaze mixture which includes a quart of a darker shade of paint. 3. Stri’e – it shows the correct tool needed to do this lined pattern. 4. Ragging – it shows you 2 ragging techniques. Ragging on and ragging off. All of the finishes or patterns in this free brochure are very nice looking. They will look great in any home – even in a mansion. You can learn how to do these simple techniques in days and even make a nice profit as a faux painter from it. 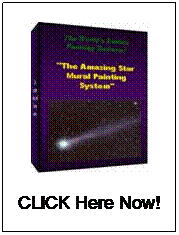 One more type of faux painting that I really love is called Star Mural Painting. 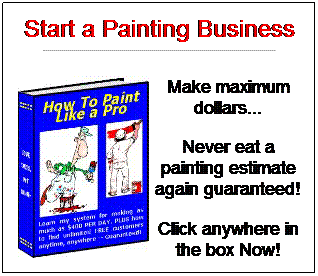 Did you enjoy this information about how to learn faux painting? Thanks for visiting. Please click here for more.